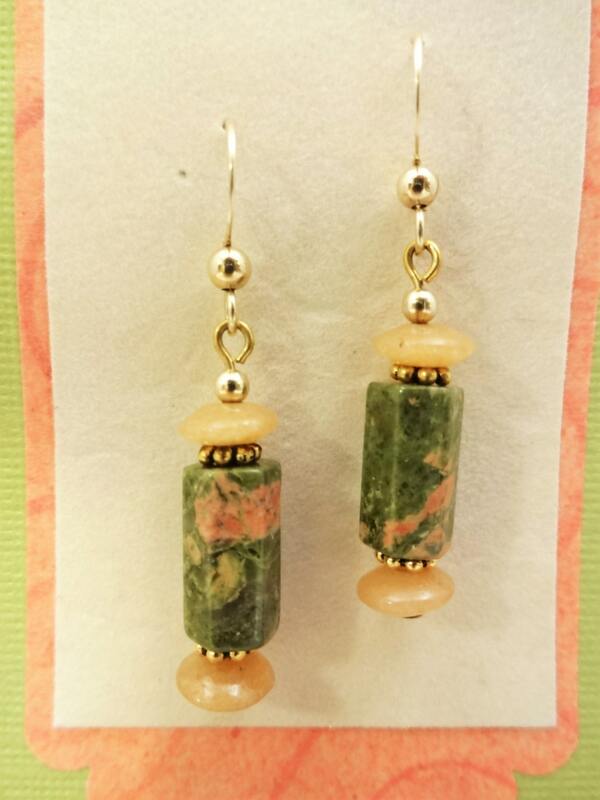 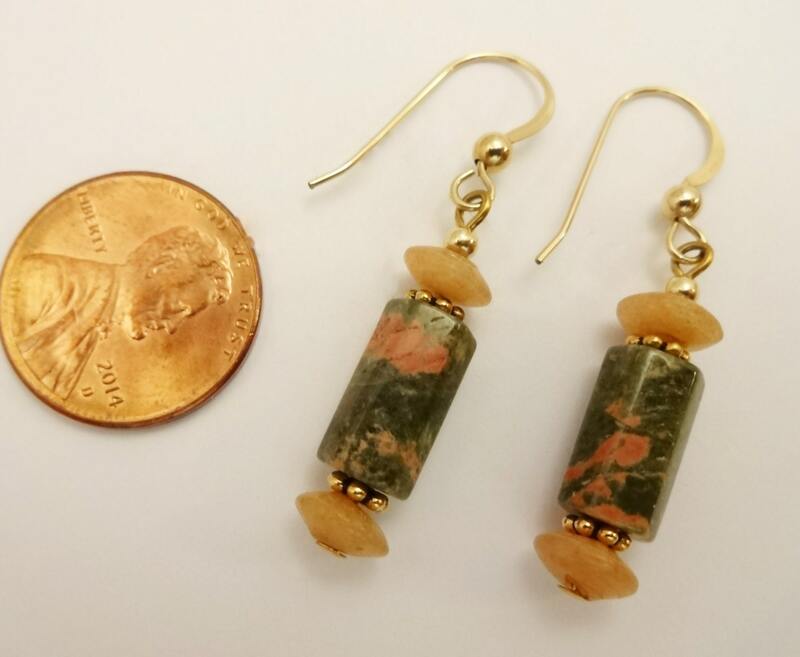 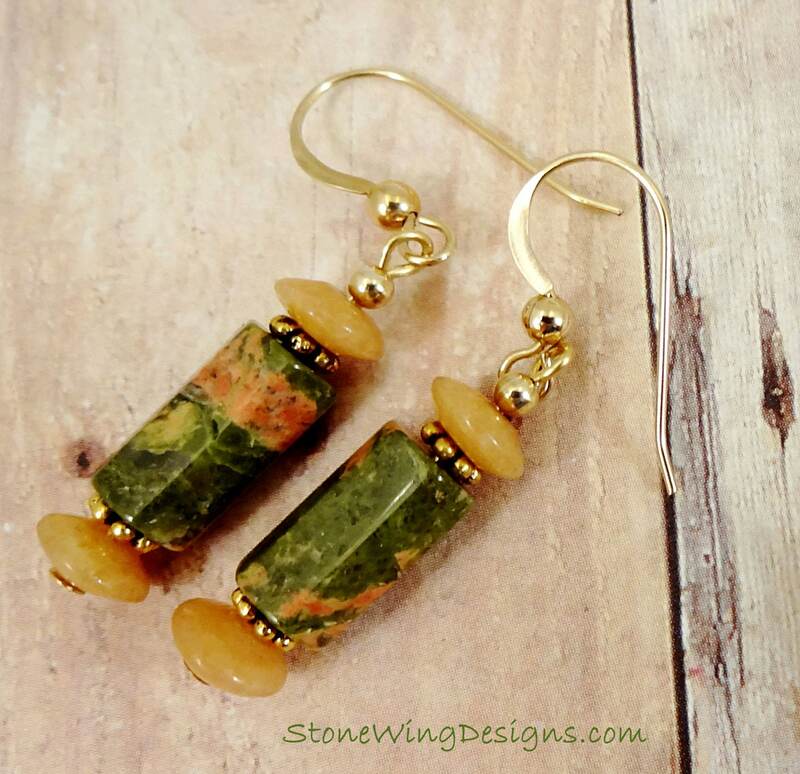 Pretty orange aventurine rondels are paired with a faceted tube of olive green and orange Unakite. 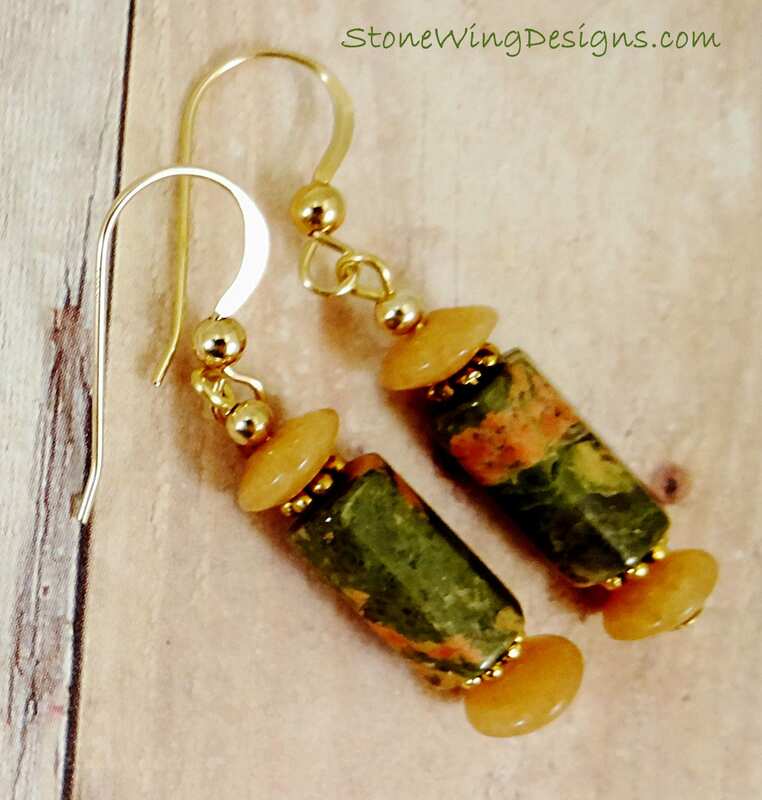 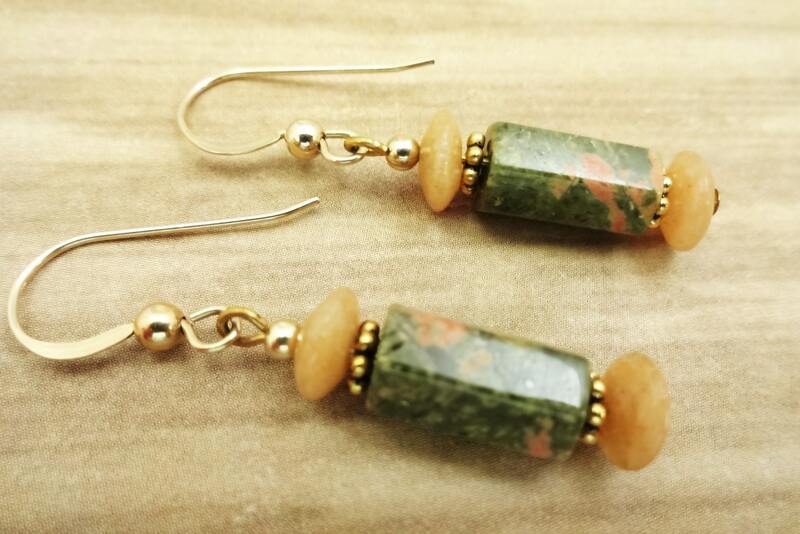 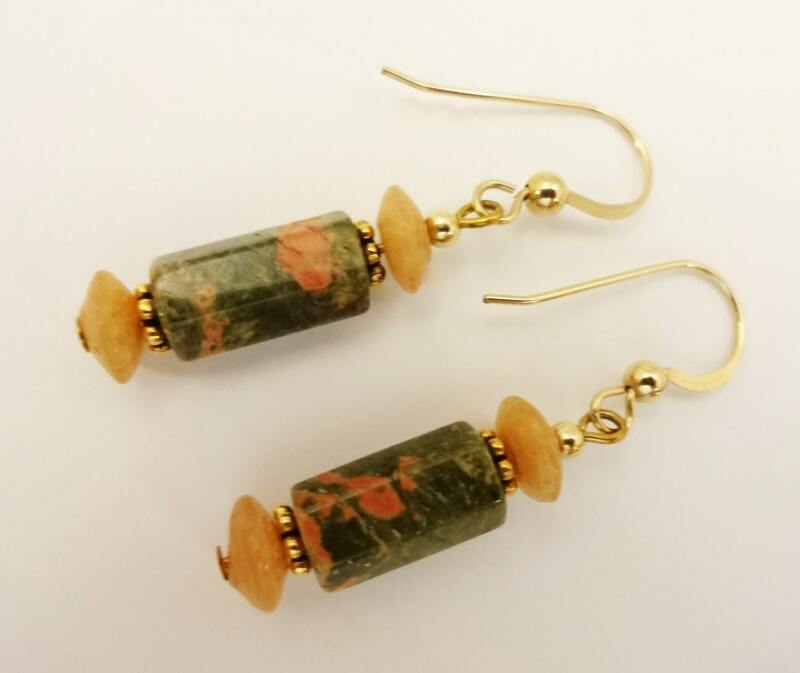 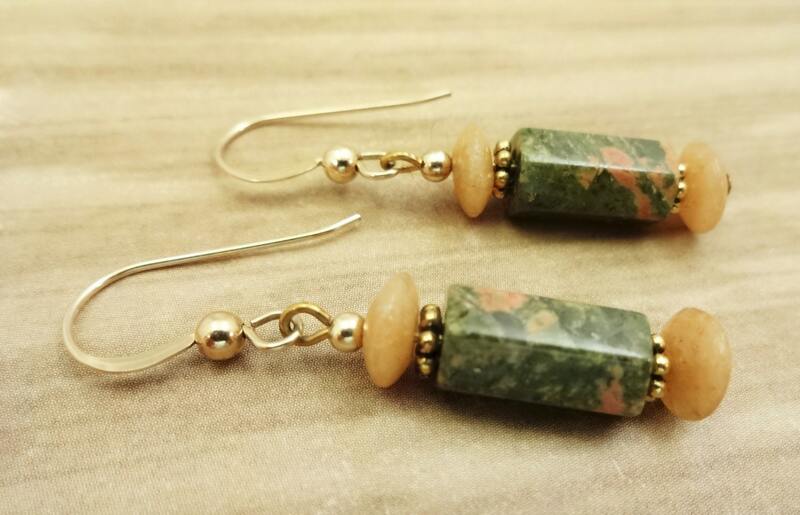 Such pretty natural stones look great together, and would make a great accessory for fall! 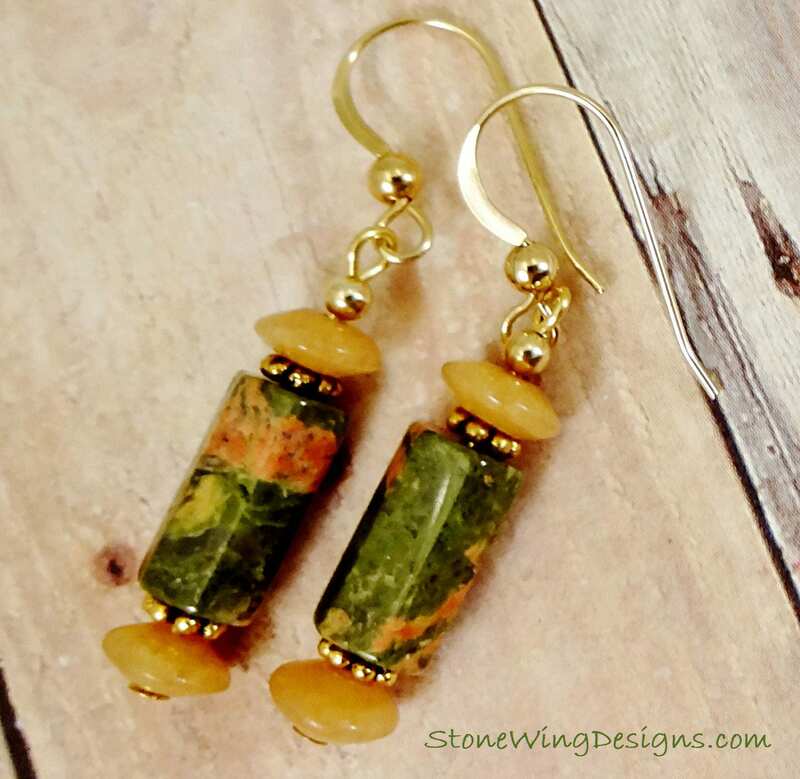 The length from the top of the ear wire is 1-3/4 inches.